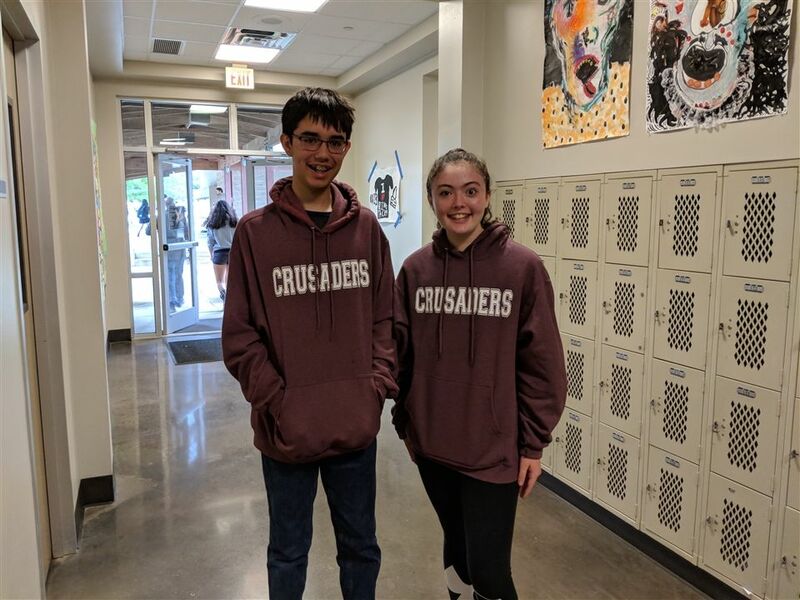 Latin 1 Students Abby Barber and Daniel Pinzon competed in Certamen at the Caledonia Classic at St. Andrew's! Certamen (Latin, for "competition") is a trivia game in which students vie in the areas of Latin language, Roman history, Greek mythology, and Mediterranean geography. Competition was fierce, and despite getting points on the board, we were unable to advance to the finals. Latin 2 presented on mythological biographies. Over the course of many weeks, having each selected a figure from mythology, the students wrote simplified biographies, intended to be comprehensible to Latin 1 students with appropriate contextual and visual cues. Behold the sad tale of the Minotaur: Minotaurus habet corpus pueri et caput tauri. Minotaurus est filius Pasiphaae. Est fortior quam homo. Minotaurus est iratum monstrum. Theseus interfecit Minotaurum. 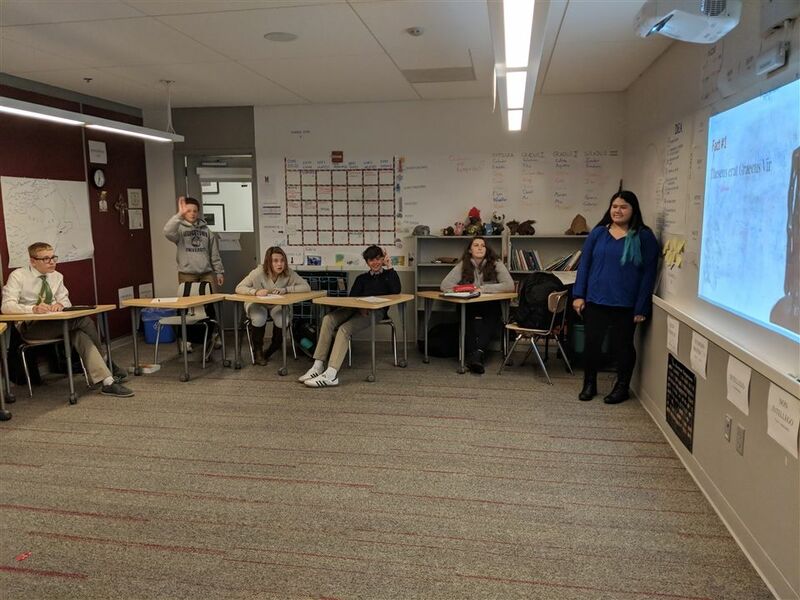 (Story by Jordan Sommers; pictured is Marissa Rios, presenting on the hero Theseus, with Louis Smith, Koke Dolce, Anna Usleman, Augie Stone, and Kate Brady. St. Michael's is currently accredited by ISAS , AdvancED and TCCB-ED.